Choose your delivery date and time-slot at the checkout! 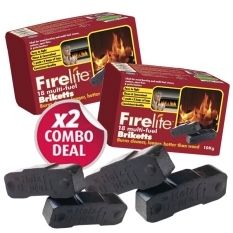 Ideal for wood burning and multi-fuel stoves, cookers, open fires and patio heaters. 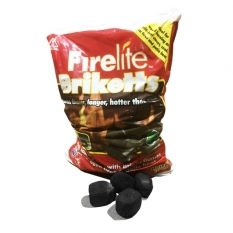 Firelite Bricketts are a longer burning alternative to wood, with environmentally friendly factors such as low sulphur and smoke output. They are easy to light, have a high heat output, give off a bright and lively flame and leave behind little ash. This consistently good product burns safely when combined with wood or other solid fuels, and will take your fire through the night. 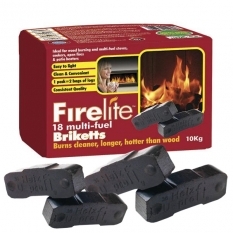 Firelite Briketts are suitable for use in multi-fuel stoves, open fires, traditional stoves and solid fuel patio heaters. 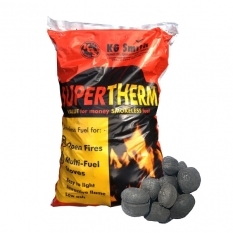 SuperTherm is a quality large manufactured briquette which is designed to last a long while and provides an easily controllable heat source. It has a high heat output and is suitable for burning in smoke controlled areas because is only gives off a small amount of smoke. Delivered in sealed 25Kg plastic bags. Firewood, Coal and Logs Delivered to: Amersham, Chesham, Little Chalfont, Chorleywood, Berkhamsted, Bourne End, Great Missenden, Gerrards Cross, High Wycombe & Iver.